This time, he bought it! I was ready. I made an educated guess as to Loque’s spawn timer, and to where he was going to spawn based on the last two spots I knew he had appeared in and bingo, I logged in this morning right on top of him. 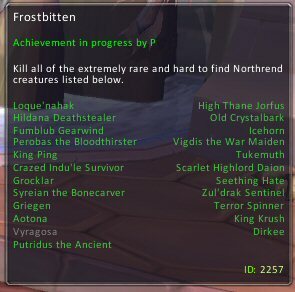 This time there was no hesitation, and having found Icehorn last night (based again on information on previous spawn kills from other guildies) I am simply looking for Vyragosa to finish the achievement. Loque is unique in item drop terms. 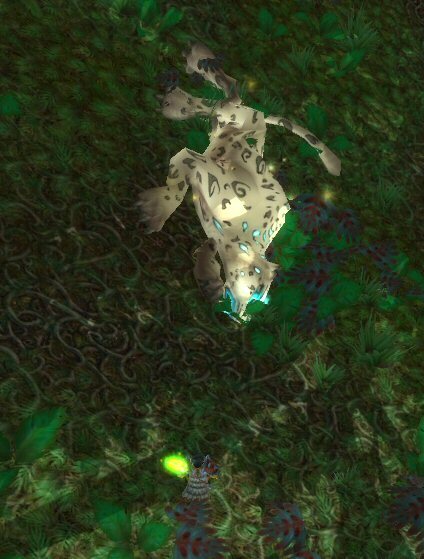 He is doubly valuable because he not only drops a random neck, but when skinned he drops a cloak as well. Needless to say those two items plus the satchel contents make this spawn one I may actively seek out every so often for the items alone.